Don’t Expect Me To Cry – Starting with a child’s view of shocking abuse, Janet shares how she had to build defenses to survive the impact of the horrors of her childhood. 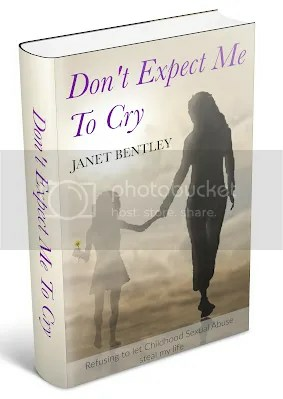 Don’t Expect Me To Die – The final part tells how Janet hit ‘rock bottom’ and tried to end her life. From that place of despair, she learned that it is possible to heal from the dark shame and trauma.